Everything related to SEO starts with an understanding of what a “keyword phrase” is. Anytime someone conducts a search on Google, or another search engine, they enter some text to start their search. In SEO terms, the entered text is called a “keyword” or “keyword phrase.“ If you know what keyword phrases your prospects are entering when looking for the type of information, products or services you offer, you will know what phrases to optimize your web pages for. Websites are not indexed or ranked by the search engines.Each web page is indexed and ranked independent of any other. This is commonly misunderstood but so vital to understand. Just because you have one web page that ranks really well in the search engines, that doesn’t mean that your others will also rank well. Each page of your website must be uniquely optimized for a handful of keyword phrases. Keyword phrases that are searched upon and those likely to attract your targeted audience. If you pay close attention to the optimization of each page, you should see a dramatic improvement in terms of search engine placement thus an improvement in ranking due to Local SEO. Optimizing for Local SEO to Rank on Page 1, The Reality ? Like it or not, you’re competing against others! If have a harder time with this concept ….. truth remains the truth. In order to get your web page listed on page one of Google, you have to kick one of the currently listed web page’s off! This is valuable information because it will help you understand what you must do to achieve the ranking you’re after, even if you know them. A Planned SEO strategy is a must to increase your business Websites cost money to maintain and therefore they must make you Profit. 1) Is their page optimized for the keyword phrase? 2)How old is their domain (the older the better)? 3)What Quantity links can be found that point to the page (the more the better)? There are other elements involved, these three are of primary concern. If you find you can outdo your competitor’s web page in at least two of the three areas mentioned.You can probably kick them off the page and take their place. After ensuring you are optimizing for a keyword phrase (or phrases). You’ll often find it is the quantity of backlinks that make the real difference. Of course, the quality of the backlinks is important. But if you are going to concentrate on one objective, it should be the building of links. Ensure your text links use the keyword phrases you are optimizing for. 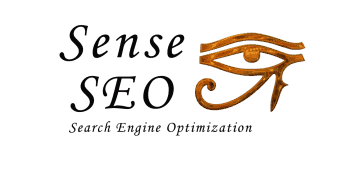 You’ll find you quickly climb the ranks of the search engines. Small business owners should must have social media presence. It means that your business must be on at least one social network.Such as Facebook if not more than one. Facebook, Twitter, Google+ and LinkedIn are all very popular social media sites. Many business owners utilize these sites in various ways to promote their business. Their methods they use will differ depending on their company type. But your first step is to Optimize your site for the Benefits of Local SEO and Thanks for reading.